Correct shampoo Q & A s are described above. Hope everyone has beautiful hair. Q1: Wash your hair every day would make hair fall out even more? Basically shampoo every day would make hair fall out some more. Even with the right way to wash your hair, you will pull out some hair. Shampoo promotes the blood circulation of the scalp, the hair grows relatively fast by this way but the opposite is hair also eliminates relatively quickly. So using dry shampoo as alternative is a good choice. Q2: After shampoo is it better to immediately towel dry, comb dry, or natural dry? The correct way is to absorb more moisture with a towel (do not let the hair tail being dripping). Remember, it’s not rub dry with a towel. Rub back and forth very damages your hair. Gently comb the tail. The friction is small when the hair is wet, relatively less easy to get split ends. But on the contrary it is easier to be fragile. So the action must be very gentle, do not forcefully comb the knotted places, it is also hurt for hair. After combing let it naturally dry! If you are afraid of coldness, move hot air far away to breeze. Don’t turn on strong heat wind; it’s bad to the hair. Dry Shampoo won't need your action to dry hair though. We must first understand why the hair is dirty before shampooing. Experts said: "The hair dirt can be divided into” external dirt "and" intrinsic dirt”. ” External dirt" is represented by dust. It is attached to the hair from the dirt outside, like the smoke or vehicle emissions, a variety of different materials and causes fouling. In addition, hair gel or mousse would cause material change to hair dirt over time. The so-called intrinsic dirt is made of sebum, perspiration, dandruff, and other dirt from the body products. On the scalp sebaceous secrete oil more than the rest of the body. Secretion is also large, and because the hair is dense, it is easy to be sticky and oily. With the likeness, the scalp also contains quite a lot of sweat. Sweat streams if ignored, would cause dirty hair. Because sweating causes hair wet and tacky, it will become hotbed of microorganisms. Moreover, since the metabolism of the scalp, the outermost layer of skin cells would release dandruff and attach to the wet scalp and will become microbial food, so the scalp getting dirtier. Once the hair or scalp is not clean, and being ignored, it will become the reasons of itchy, inflamed, and hair removal. So the most important thing is hair wash. Shampoos are very important, and choose a good shampoo is essential. The so-called good quality hair is shiny, flexible, while also no split ends, strong and not easy to break, etc. To reach these are the equilibrium moisture content of the hair, feels smooth, and the hair root to tail quite strong. In order to protect this good quality hair, the shampoo has to create smooth foam. Experts said: "The cross-section of hair is divided into three layers, respectively start from the outside as" cuticle "," hair cortex "," hair medulla”. "In the outermost cuticle hair translucent squamous, it is proteins by the formation of a hard cuticle to protect the hair. It keeps the internal cortex hair from external physical and chemical stimulation. But because of the presence of hairy skin, shiny hair will be produced. Additionally, hair is softer when wet, be careful not to hurt the hair cuticle. During the shampoo, some people will forcefully scrub with a nail. This phenomenon causes friction among the hair, makes the hair cuticle damaged, so it is absolutely prohibited. The smooth foam is responsible for preventing mutual friction. Experts said: "The good foaming shampoo is to protect the hair cuticle and the secret beauty hair." Shampoo is washing based agents and subsidies which can make the dirt off the ingredients (surfactants) and adjust washed hair conditioning agent, a combination of other additives. Responsible for taking the dirt off is the wash base agent, and grant detergents are to help create foam. If there is only the washed based agent, even though at times lots of foam would produced when there is less sebum dirt. Once there is more sebum oil, it’s hard to produce bubble. While in order to produce smooth bubble, wash subsidy can produce the large effect. Q1: every time after shampoo, hair split ends always get worse and more serious. It is more difficult to organize, how to do with that? A: Do you feel your hair gradually lose luster? If the answer is yes, the surface of the hair has been expressed by external stimuli and began damaged; when every time shampoo, the damaged part would gradually be dissolute inward. The loss of protein and pigment gives hair yellow dry and split ends. The hair must be dedicated by cream and shampoo which focus on damaged hair to replenish elastic and repair the hair surface. But if not belonging to the above situation, and the hair is still dry, quickly check shampoo being used. Is it too strong to clean oil? Change to a neutral shampoo, or just use dry shampoo. Q2: What’s the difference between conditioner and hair care treatment? If using both at the same time, would the effect double? A: Conditioners on the hair surface can create a protective layer, to cut off the outside damage to the hair and increase hair shine , reduce static friction; while moisturizing treatment is to give nutrients and make healthy hair restoration from native status. Normally, healthy hair just need to condition, hair treatment is used only when damaged. If the degree of hair damage is quite severe, it is recommended that you do hair care treatment first, and then condition later. So that the nourishing ingredients within hair can be preserved from hair loss and improve hair effect. Even normal hair can also do regular treatment (about once a week) to effectively prevent damage. Q3: Once there is hair split ends, whether you should cut off or not? A: Unfortunately, as long as there is hair split ends, it is impossible to be restored to the original status. At this point if you want to have a healthy hair, the only way is to cut off all of the split ends. If you really do not want to cut the hair, conditioners reluctantly can remedy it. Hair split ends is due to lack of nutrients, so always use conditioners to strengthen hair tissue. Replenish nutrients needed for regeneration, make hair shine and elasticity reproduction. But in any case, on the verge of dry and mortality hair is difficult to recover, instead of the trouble rescue, it would be better to cut and start again. Q4: after getting up every morning, the hair is always warped gentile. Is there any quick hair styling trick? A: Wakes up with warped hair, always makes our mood messy. So quickly wet the hair and blow the whole now! Although somewhat cumbersome, in order to take care of the beauty image and a good mood, you can only work hard. Do not be lazy to blow directly on dry hair; it would cause great damage to hair. It’s better to use warm water or heat resistance moisture lotion. It’s even greater and convenient to just use “dry shampoo”. 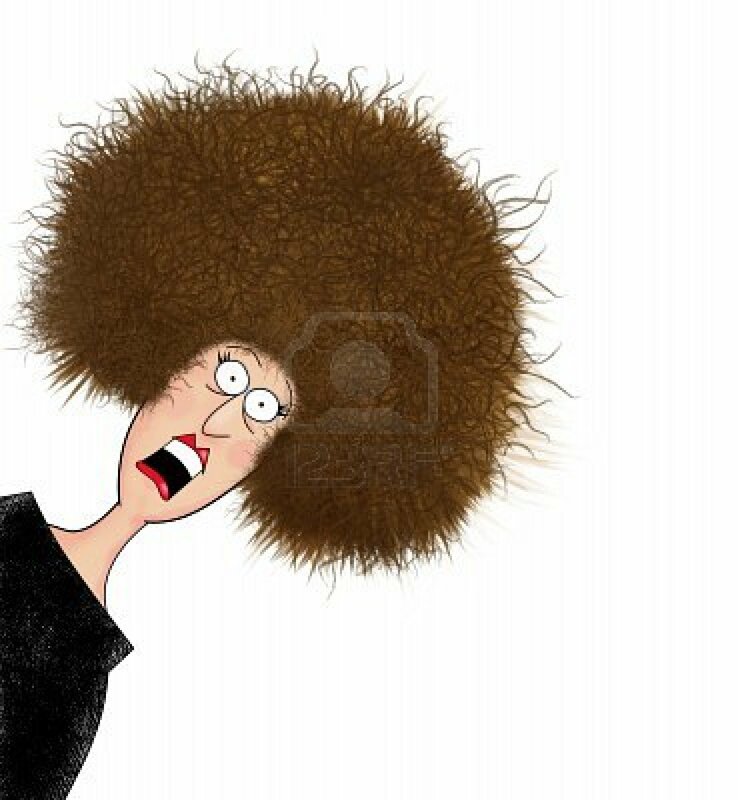 Q5: Dandruff & itchy scalp often makes me feel embarrassed, what is the reason and how to solve it? A: There are many causes of dandruff, probably because of puberty excessive metabolism, it may result from nervous, continue to use the brain, or too much of pressure. Furthermore, excessive intake of sugar and alcohol can lead to dandruff. But the biggest main reason is due to unclean scalp. So if you want to say goodbye to embarrassing dandruff, take care of the scalp first! In each shampoo, use bactericidal, anti-inflammatory effect wash (guard) hair products, and wash more closely at each of the corners. But if it is from the too dry scalp, you have to reduce shampoo frequency, to avoid lack of sebum and cause the situation serious. Q6: Since hair is easily damaged, I do hair care often. But why is there no significant effect? A: "Hair Care" is the first step in hair restoration measures, but a lot people do not feel the actual effect. Indeed, a hair care isn’t just smear on the hair treatment product. Effective & efficient way is to finish with the shower cap or hot towel for 10 to 15 minutes after hair care product. So it can accelerate the conditioner penetration by temperature increases. However, these methods do not apply to oily hair or dandruff -prone people. When hair care products adhere to the scalp, it would make the problem even more serious. Just need to take care of damaged tail. It is also worth noticed that the amount of hair treatments not to use too little, otherwise it would greatly reduce the effect. Q7: How to avoid the sticky feeling after use of hairstyling products? A: Using hair gel often causes stiff and sticky liquid feeling and very annoying. But in order for hairstyle need, you would inevitably need the fluid products. The choice for a finalized solution is very important. You can choose the hair products with less styling power and more hair care ingredients. You can create a soft hair with style, but also as watering natural and comfortable. If you still buy rigid styling liquid, you may need to add a little water to try. It can make hair to restore some degree of flexibility. Q8: I hate the feeling of hard hair, how can we have a soft hair? A: Coarse hair is due to the hair being wrapped in layers of dense skin, causing water retention is not easy. The hair is not smooth and supple. In such cases, the hair medulla hair is thicker. The hair would be not only thick and hard, but also easy to get oily. If you want to stabilize this hair to make it feel better, the best selection is the high moisturizing ingredients, or softening effect of the rigid specialized hair shampoo. Since drying often leaves hair loss of water rapidly, you should choose deep hair conditioner with hair care procedures supplemented. Make the product completely penetrates into the hair, and the formation of a protective layer, will be able to show the bright shiny smooth softness.